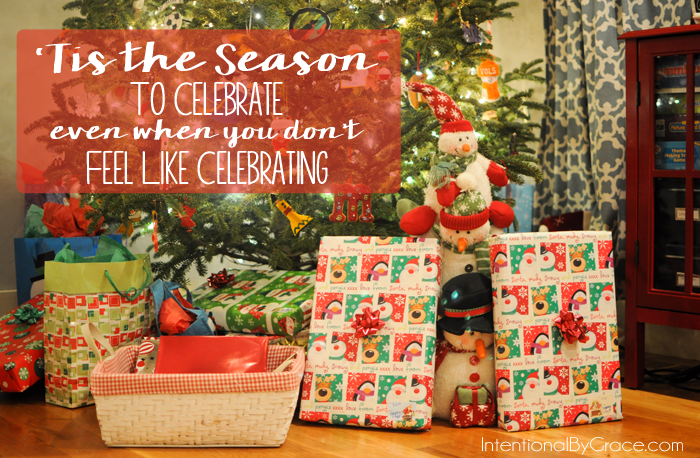 This week, I want to talk to you about ’tis the season to celebrate when you don’t feel like celebrating. 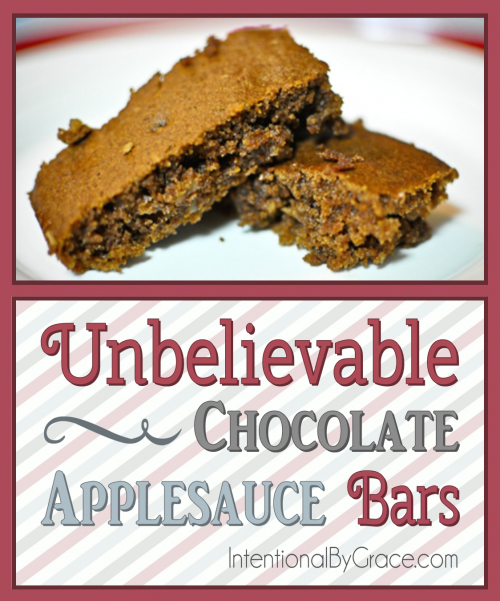 Warning: This post takes a lot of guts to write. Bear with me. On December 1st, creating traditions that will leave lasting memories for my family became my mission. We’ve been enjoying Advent activities, as well as a nightly “Jesse Tree” devotional. I’ve been wrapping presents, and even making homemade presents for friends and family. I’ve enjoyed lots of Nutella hot chocolate, and watched Christmas movies with my sister and husband. At the surface, it seems that I have been fully celebrating this holiday season and reveling in the gift of Jesus Christ. However, at the core? At the very center of my being? I’m struggling. Rewind to three years ago. I sat on the couch with my husband who was expressing to me that people really can become depressed. He pointed out that they can be in the word, on their knees crying out to God, but still struggle with depression. I looked him square in the eyes and said, “I don’t believe it. Those people are weak and not trusting the Lord.” Ouch. How arrogant … and wrong I was. The year of 2011 has been a year of God’s continual revealing of the sin of pride in my life, and He loves me so much that this year He has been at work stripping me of all that holds me captive. I’m far from humble. However, I believe God in His kindness is refining me. I know He is at work helping me to put off pride and self-righteousness and instead put on humility, compassion, and love (Colossians 3:12-17). On Friday of last week, through tears, I admitted to my husband that I am depressed. I think there are many factors that play into this conclusion – overwork, financial strains, nutritional deficiencies, relational difficulties, and more. I am aware that most issues are circumstantial. Is there some spiritual sin? Yes. Am I fully aware of all that the Lord wants me to see? No. Am I aware that God loves me and cares for me? Absolutely. In light of this reality, I want to share with you three things I am doing to celebrate this holiday season even when I don’t feel like celebrating. By God’s grace, I realized relatively quickly that things were not right for me. Also, by God’s grace, I knew that if I bottled it up, I would surely burst from grief (Psalm 32:3-4). Telling Mark, the man of my prayers, was hard, but by talking about my heart condition with him, I extend to him the opportunity to serve and lead me. I entrust to him my very heart. I am vulnerable. Additionally, I am bringing light to the dark. I am unveiling what is veiled. The devil cannot live in the light. A lot of the time, it feels so pointless to pray, but “behind a frowning providence, He hides a smiling face” (God Moves in a Mysterious Way by William Cowper). I know that to be true. God longs for me to cast all my cares upon Him (Psalm 55:22; Matthew 11:28-30; 1 Peter 5:7). He wants me to cry out to Him. I know that as I wait for Him, I am made more faithful (Romans 5). Last night, for our “Jesse Tree” devotional, we read about Joshua and the battle of Jericho from The Jesus Storybook Bible . Friends, I am a “pull yourself up from the bootstraps” kind of girl. When there is a problem, I meet it head on, grit my teeth, and barrel forward determined to win. However, this time? God’s not going to let me do that. Instead, like Joshua and his army who had their swords and spears and shields ready to fight, I must realize that this is not my battle to fight the traditional way. This is a battle that will only be fought and won by God through trust and patience as I wait upon Him. I must march through each day – each day that makes zero sense – and trust that God has a marvelous plan that will result in victory. Right now, that’s all I know – and for now, it is enough. So I pray. I pray for you. I pray for Mark. I pray for Sam. I pray for my dear friends. I’m going to pray for others. Last night, I didn’t want to do our “Jesse Tree” devotional; however, instead of my husband reading it, I read it. God met me. I experienced joy for the first time all day. Passionate Homemaking posted about how to Naturally Battle Depression, and in her post, she shared a poem that I have found to be so helpful. My friends, I will celebrate this holiday season when I don’t feel like celebrating for the Lord has put more joy in my heart than I can ever hope or dream (Psalm 4:7). For now, my soul is cast down within me, but I know and I trust and I believe that I will again praise Him (Psalm 42). ‘Tis the season to celebrate the coming of my Savior, my deliverer, my comforter. The birth of our Savior truly is an event worth rejoicing over! What about you? Have you ever struggled with depression? What words from scripture encouraged you? LeighAnn, thank you for sharing your heart. Your pain is very real. Please know that you’re covered in prayer each day by those who love you. You WILL make it. Satan is a liar. He loses. We win. I am thankful you have such a wonderful husband to cling to during this time. You are blessed. Thank you, Stacy! You are so faithful, and you are truly a means of grace to me. Praying for you, because I have been there. Besides the Word, a book that helped me was When the Darkness Will Not Lift by John Piper. PTL for your husband as I do for mine who was a tremendous amount of support for me during that time. Thank you, Kimberly! I will have to check out your book recommendation. I love John Piper books. Amen Leigh Ann! I have struggled with this since the birth of my eldest. The Lord continues to give me strength and I am getting “better” but few things help more than hearing how a sister in Christ is coping. Thank you for sharing your heart. This is so perfect for this time of year…thank you. I love your quotes! Your husband’s advice to serve others and pray for others was so wise! You are on the right track, my dear, and you will be victorious. I hope you are able to enjoy this Christmas season to the depths of your soul! Thanks, Anne! God has been so kind this Christmas season. 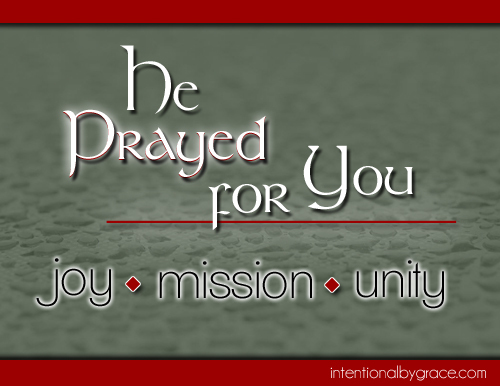 I am very aware of His abundant grace and the prayers of faithful friends and family members!